ventilation into your premises. Its adjustable nature gives you full control of the desired air filtration-be it a cool draft or a whisper of refreshing air. Yet when fully closed, the integrity of air-conditioning is maintained. 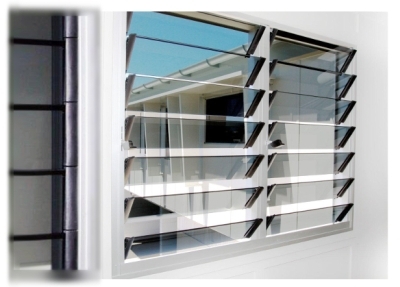 Customize simply with ease: the luxurious offer from fresAir Louvre Windows. you to a comfortable & refreshing home. 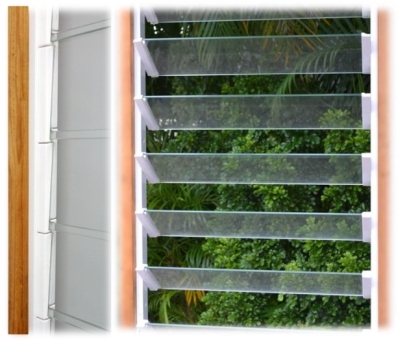 Specify 8mm or 13.52mm thick laminated glass for wider span. Open joint concept in weathering.